The reign of the second Māori King, Tūkāroto Matutaera Pōtatau Te Wherowhero Tāwhiao, was dominated by the Waikato War and the fallout from it – in particular, the impact of the subsequent confiscation of Māori land. On 11 July 1863, Governor George Grey issued an ultimatum to the ‘chiefs of Waikato’ to pledge allegiance to Queen Victoria. The following day – before Waikato Māori had even received this message – troops commanded by Lieutenant-General Duncan Cameron crossed the Mangatāwhiri stream, a tributary of the Waikato River near Mercer. This waterway marked the aukati (boundary) between the European settlement of Auckland and the lands under the mana (authority) of the Māori King. The key conflict of the New Zealand Wars had begun. Kīngitanga forces repeatedly held up the British advance but eventually withdrew to Tokangamutu (Te Kūiti) in Ngāti Maniapoto territory. For some European commentators the Kīngitanga was now in 'sullen isolation', yet the movement survived this period largely intact. As the century drew to a close the Kīngitanga re-emerged, ready to take on fresh challenges. 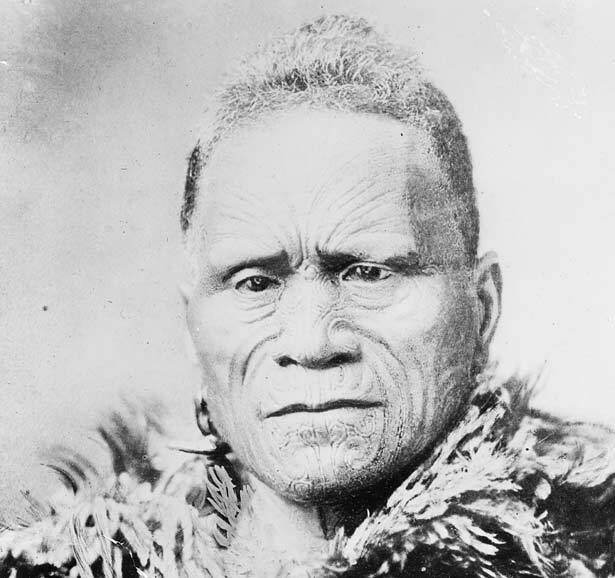 We have 40 biographies, 14 articles, related to Māori King movement - 1860-94.